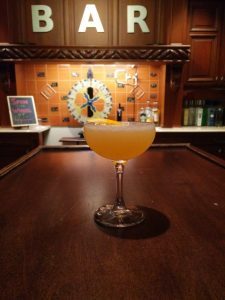 This cocktail is a riff on a classic, the Pegu Club, which originated in the 1920’s at the Pegu Club in British colonial Burma. In the Honeycomb our Beehive Curaçao adds notes of honey and orange, bringing extra depth to this already layered cocktail. Shake ingredients with ice; strain into chilled coupe glass. Garnish with a swath of fresh orange peel.